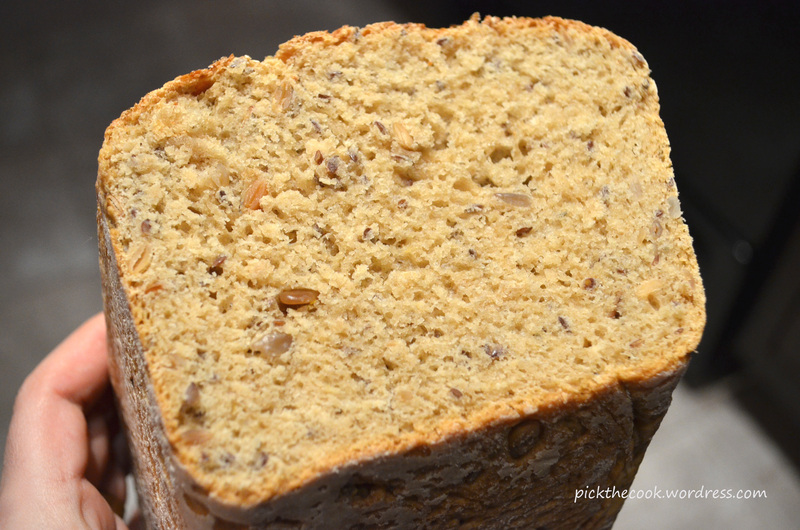 Lucky those who don’t care much about bread… I would rather give up a slice of cake of a slice of good bread. I’ll keep it short to spare myself from craving another slice. 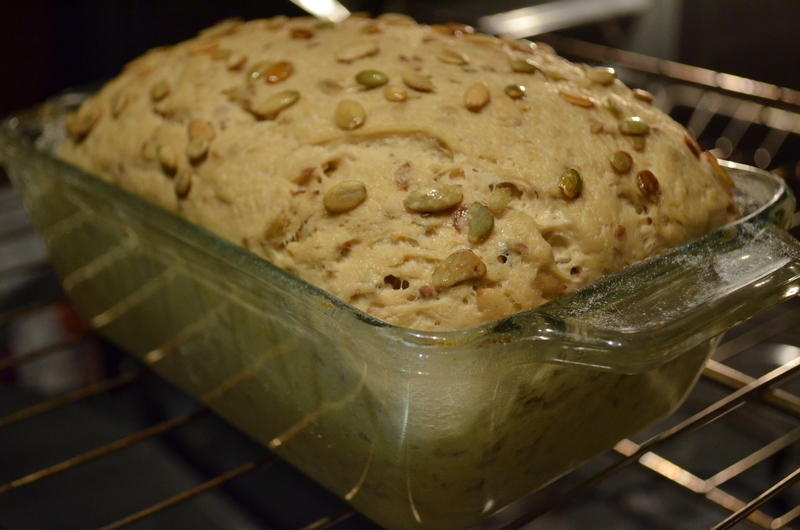 Combine the warm water with the yeast, olive oil,salt and honey and mix well. 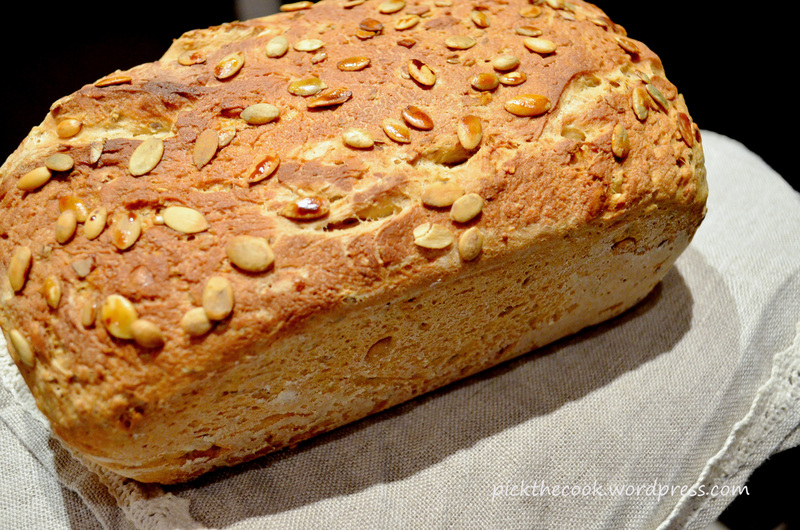 Start incorporating the flour into the water mixture (in small quantities). Now work the dough like you really mean it until it’s smooth. 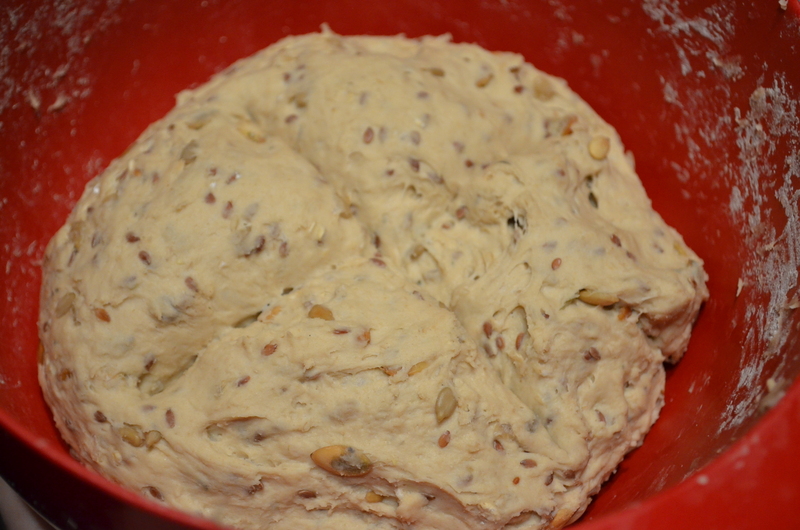 Add the seeds to the dough and work the dough again. 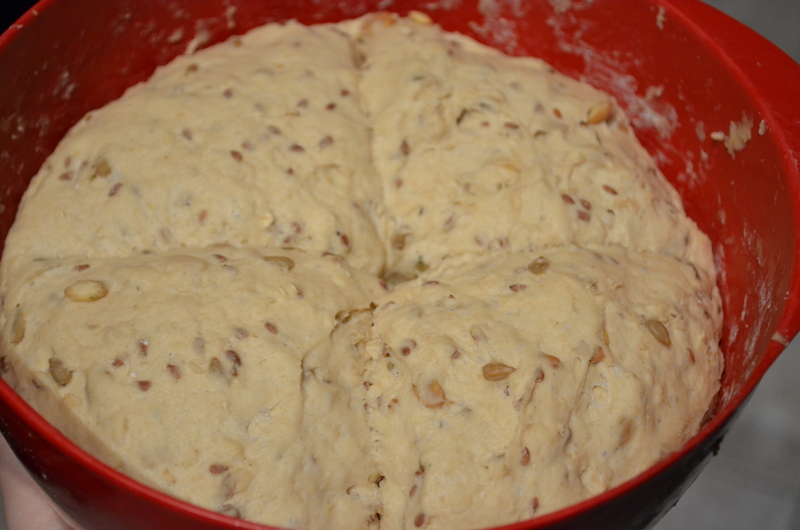 Cover the dough with a plastic wrap and let it rest for 30 minutes (double the volume). 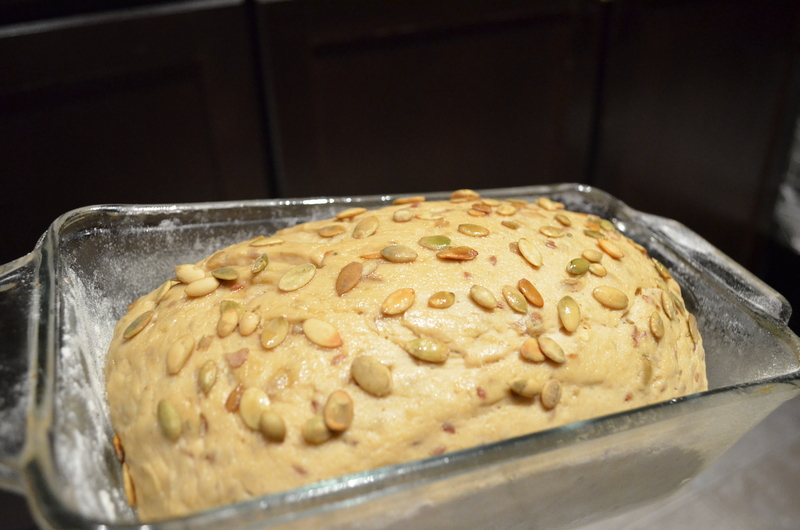 Place the dough into an loaf pan and sprinkle some seeds on top if you like. Let it rest for another 10 minutes while you heat the oven at 200C/ 390F. 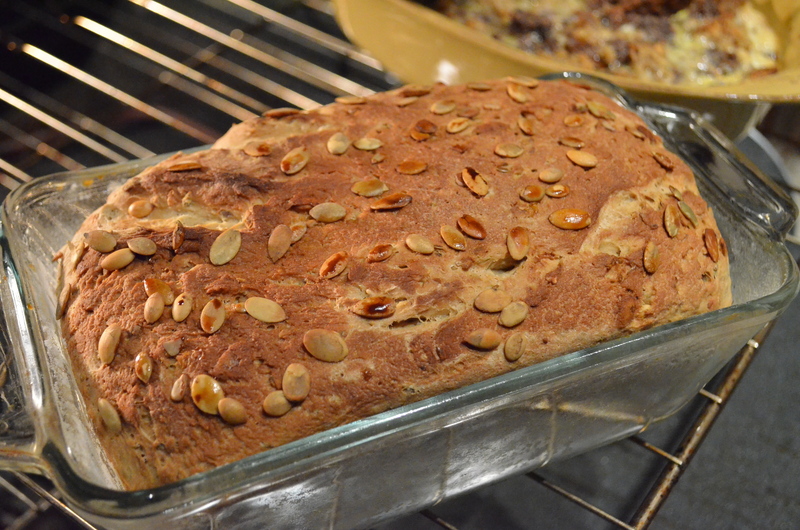 Bake it for 30- 35 minutes (until golden).